Mrs Reynolds would like to thank all Year 11 students for their commitment during the mock exams this week. Rachel and Mason 8C - nominated by Mr Gourlay for their fantastic hard work on the embedded systems project in Computing. Katie 8C - nominated by Mr Gourlay for her independent creation of a fitness tracker using Micro:bit. Keali 10C - nominated by Miss Longhurst for her hard work in History. Jake 11C - nominated by Miss Fenner for his excellent hard work and contribution in English. Alice 11C, Macey 11S and Vanessa 11C - nominated by Mr Cox for their excellent work in Drama. Natalie 11T and Kane 11C - nominated by Mr Cox for the consistant hard work on their Science coursework. Tyler 9C - nominated by Mr Cox for his hard work on atomic structure and general helpfulness. Rainers 9T - for his great attitude to learning in Science. Luc 10S - nominated by the Science team for his excellent grade in the recent CB6 test. 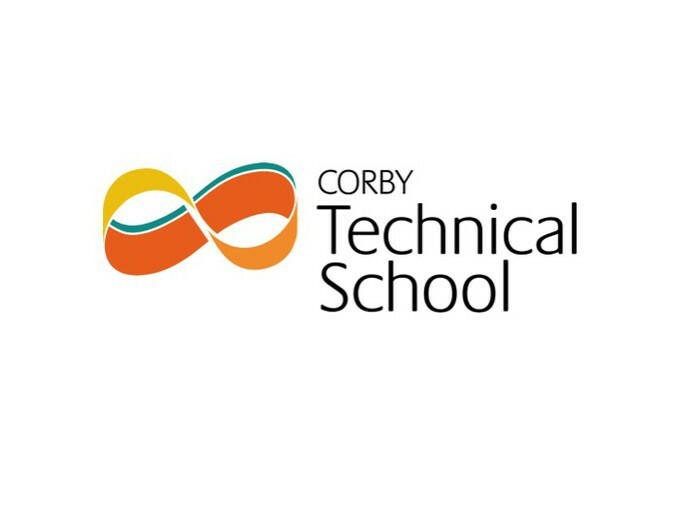 Mr Cox would like to nominate all students who have welcomed Mr McDonnell to the Science team and helped him to settle in. Tyler 11S, Kane 11C, Kriss, 11C, Charlotte 11S, Aaron 11S, Kara, 11T, Liam, 10C, Cory 10C, Aidan 9T and Martyna 9T - have all been nominated by Mrs Wagner-Lees for their hard work and exceptional efforts in German. Rachel 8C - nominated by Mr Harley for her excellent demonstration in Design and Technology, demonstrating to the class how to mark wood using a try square and then how to safely use the tenon saw. A future DT teacher in the making! Anjali 8C has nominated Mr Wilson for his fun and engaging English lessons. 8T have nominated Miss Fenner for being a great form tutor. Miss Longhurst would like to nominate Mr Bidwell, Mr Rogers, Mr Lee, Miss Bridges and Mr Wilson for their help and support with her recent project. Mr Bidwell and Miss Bridges have been nominated by 9T for their engaging lessons. Mr Chatfield and Mr Lee have been nominated by students for being supportive and understanding. 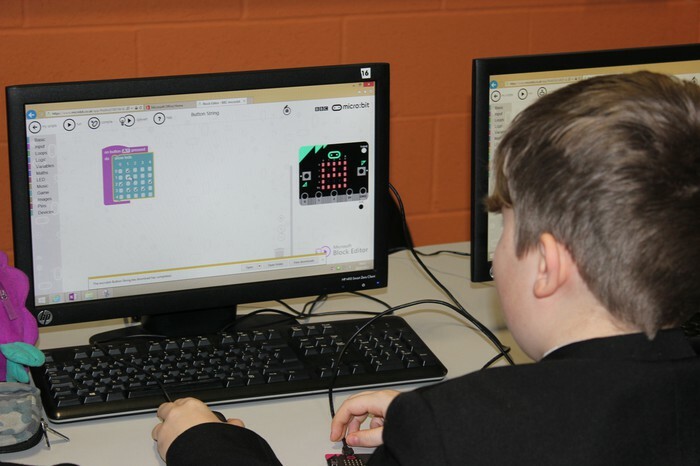 Our Year 8 students have a very successful week programming their Micro:bits. 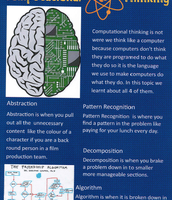 Thomas completed this excellent poster in Computing. 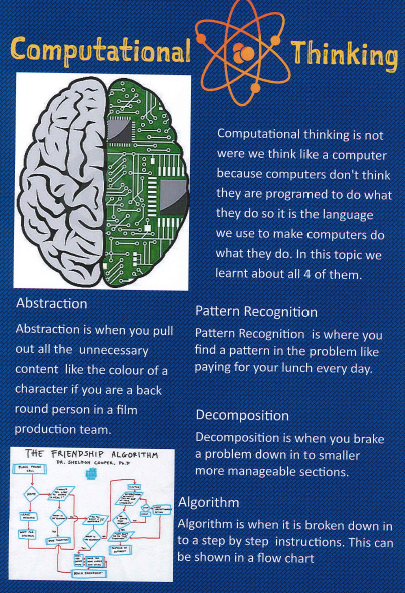 Students have been looking at problem solving before programming. Our Year 10 students are taking part in the Lifestyle Pathway which looks at ways to keep healthy. Pictured are some of the Year 10 students who visited Lodge Park Sports Centre today. Wednesday 1st February - Year 10 Parent/Carer Consultation Evening. Wednesday 8th February - Year 9 - Parent/Carer Consultation Evening.